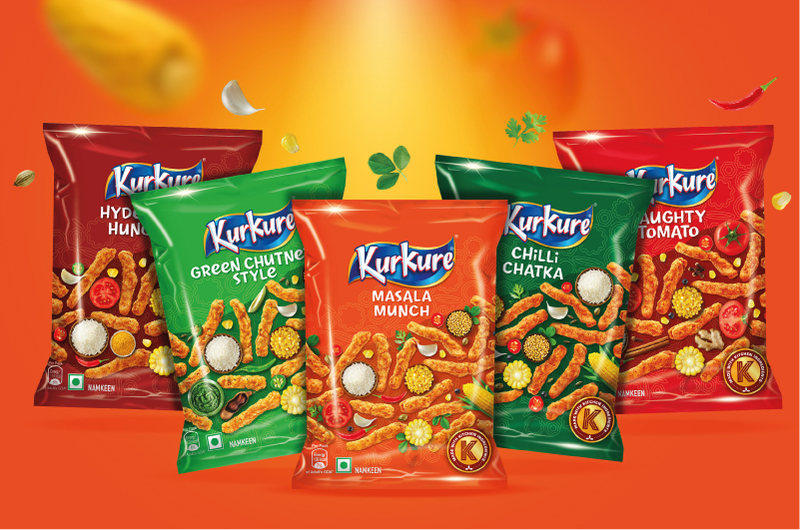 Indian Snacking giant Kurkure started out almost two decades ago with their signature collets. 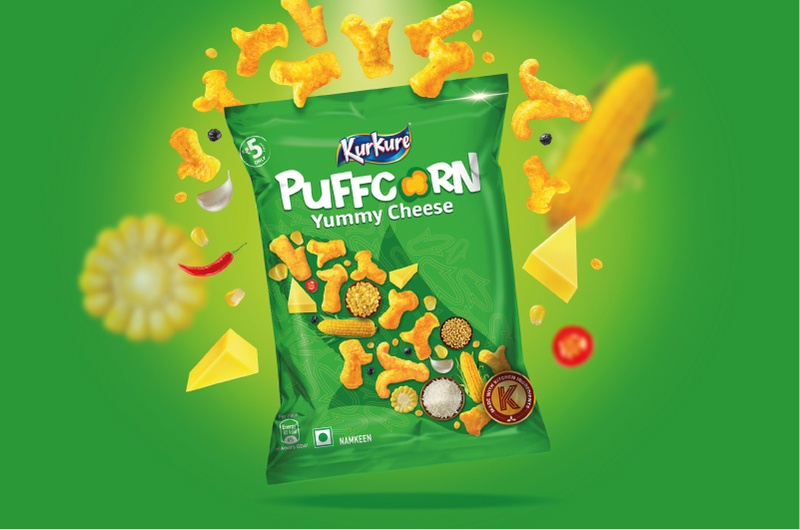 From then to now, they have grown exponentially, capturing the market with their flavour offerings and quirky brand identity. 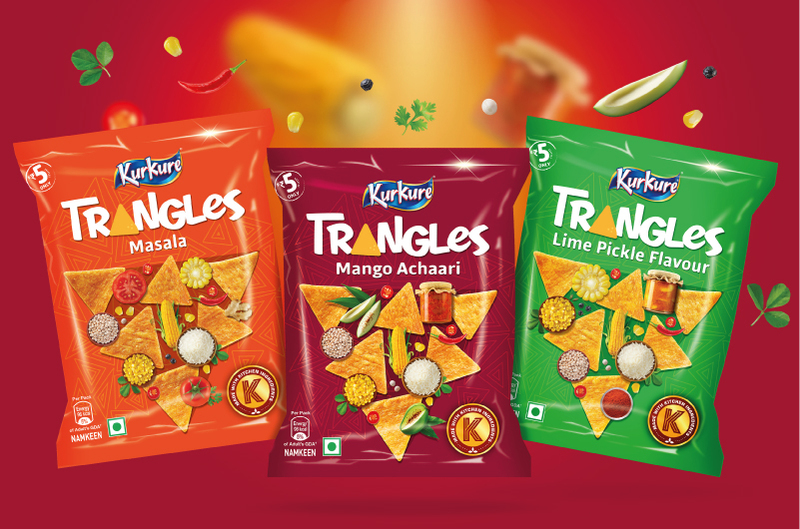 They approached us to redesign the existing packaging in order to stay relatable with the changing times. 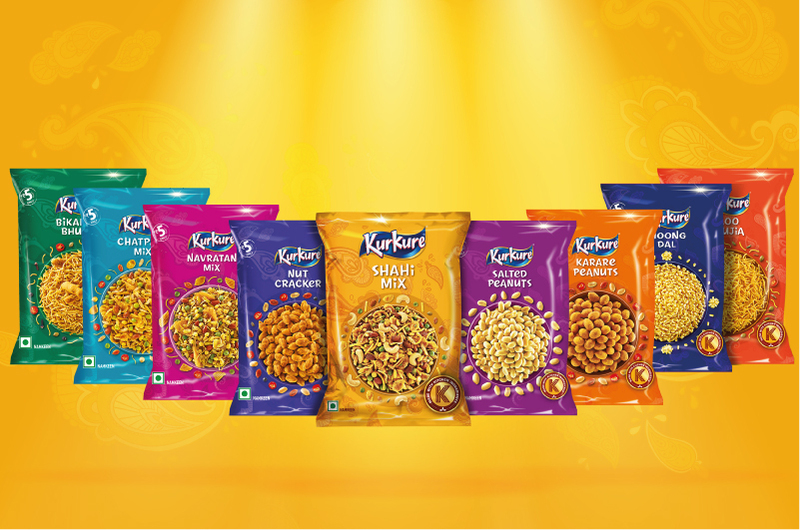 With a range of products which are consumed throughout the country, Kurkure is sold everywhere from modern retail outlets in metros to small stores in remote villages. 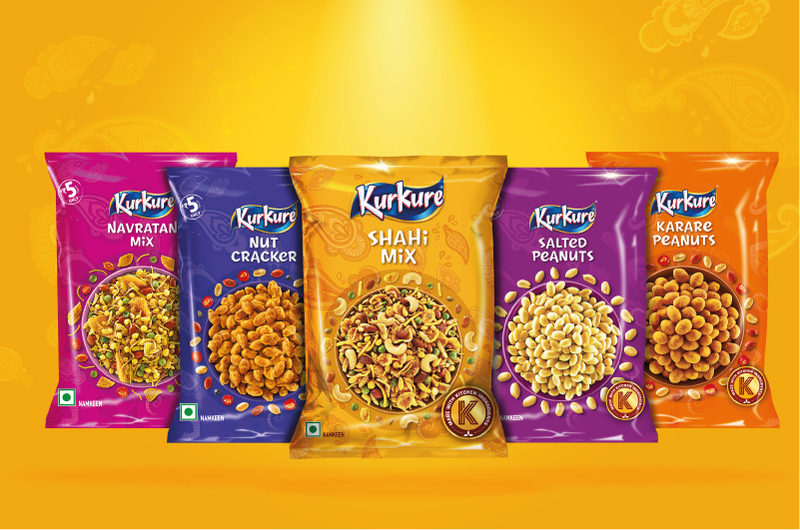 Designing packs which would appeal to such a varied audience while aligning with the brand’s values was a major challenge in the project. 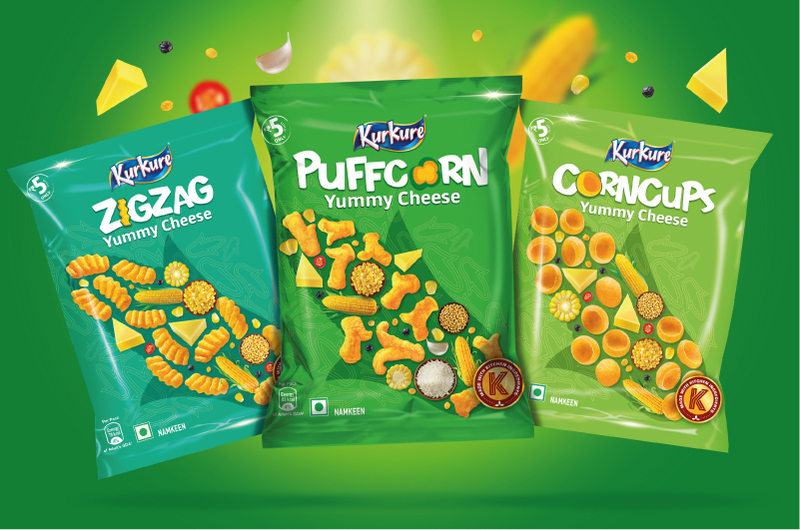 We would be contemporising the packs while retaining the brand’s core identity and bringing individuality to their variations. 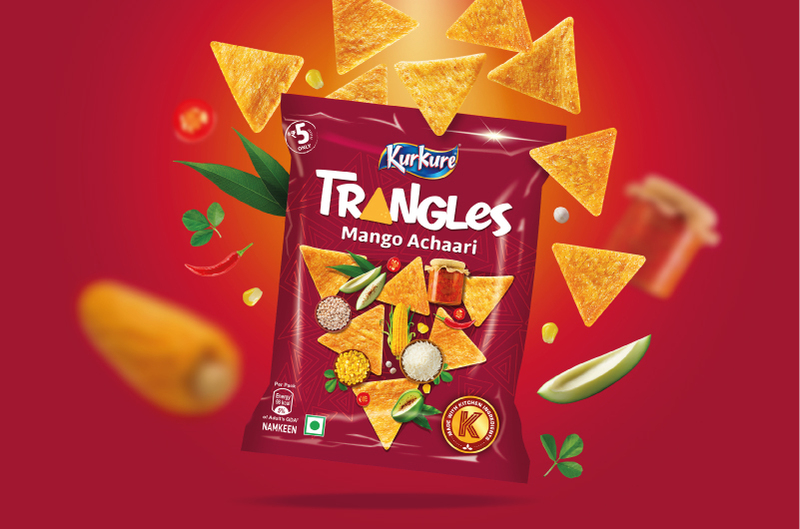 The brand’s innate Indianness needed to be celebrated, while highlighting the use of regular kitchen ingredients in their products. The unique shapes of each variant was an immediate association with the brand. It tied together the product family, while differentiating the categories. We decided to play up on this association by arranging the pack shots to resemble the variants’ shapes. These brought the product ingredients to the forefront, serving as a differentiating factor for variants. We also added texture to the pack background. 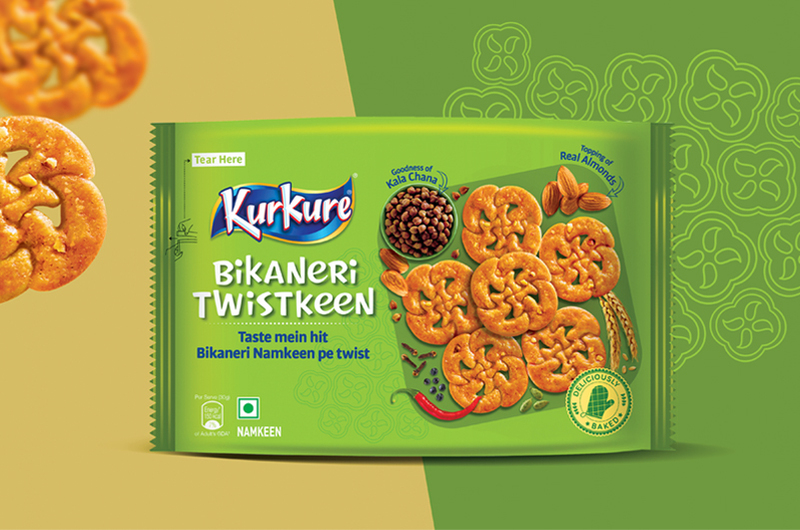 Our team redesigned the Kurkure seal talking about kitchen ingredients to give it a modern look. The seal, along with the original logo, tied together the product range in the family. We decided to retain the original pack colours which consumers were familiar with, only cleaning them up for a fresher look. The typefaces used on the packaging were rationalised, making the pack look more evolved and premium. We completely revamped the back of pack, keeping the brand’s quirkiness while modernising it. 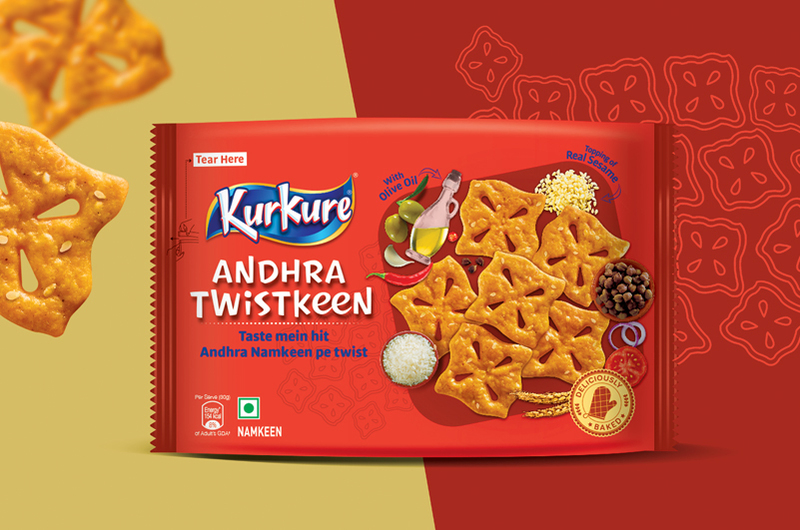 Our team developed a series of stories about creating a family like bond with a pack of Kurkure. The original tagline was tweaked to fit each one, featuring on the different variations. 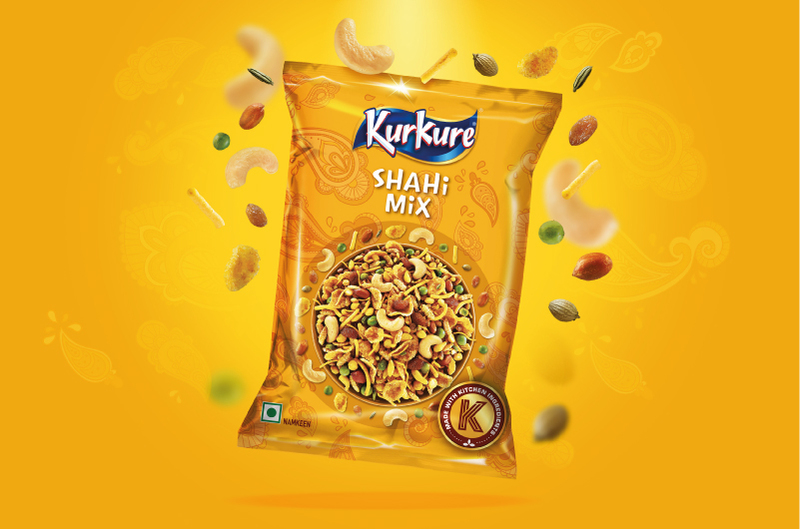 Recently launched in the market, the new packs have evoked hugely positive responses from the brand’s sales team as well as consumers.